CHICAGO - U.S. Soccer announced on Thursday the finalized format and schedule for the 106th edition of the Lamar Hunt U.S. Open Cup, U.S. Soccer's National Championship, with 25 clubs from the USL Championship, six from USL League One and 10 from USL League Two set to be part of the field of 84 teams to compete in the historic tournament. The 2019 tournament will kick off on May 7-8 with 19 First Round games including the 32 Open Division qualifiers and six USL League One clubs entered, with the USL Championship’s representatives set to join the tournament in the Second Round, which will be held the following week on May 14-15. The Third Round takes place on May 29, and its winners will be joined by the 21 U.S.-based Major League Soccer clubs in the Fourth Round on June 12. In an indication of the unprecedented growth of professional soccer in the United States, 52 pro teams – a modern-era record (1995 to present) – will play in this year’s competition. The previous record was 47, set in 2015. The 2019 U.S. Open Cup winner will earn $300,000 in prize money, a berth in the 2020 CONCACAF Champions League and have its name engraved on the Dewar Challenge Trophy – one of the oldest nationally-contested trophies in American team sports – now on display at the National Soccer Hall of Fame in Frisco, Texas. The runner-up will earn $100,000, while the team that advances the furthest from each lower division will take home a $25,000 cash prize. The draw for the First Round of the tournament will be held on April 10, and for the Second Round on April 17. 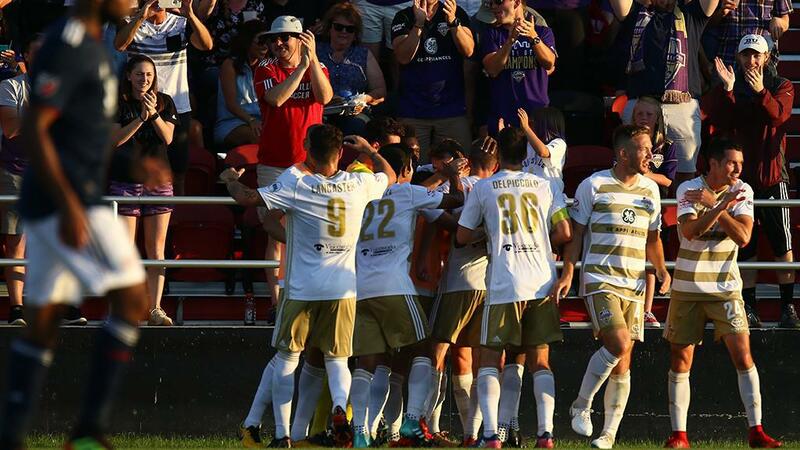 The 2018 edition of the Open Cup saw the Championship’s Louisville City FC advance to the Quarterfinals of the tournament, defeating Major League Soccer’s New England Revolution in the Fourth Round before defeating fellow USL Championship side Nashville SC in the Round of 16 to make its deepest run in the tournament in club history. This year’s tournament will see six newcomers to the USL Championship represented, with expansion sides Austin Bold FC, Birmingham Legion FC, El Paso Locomotive FC, Hartford Athletic, Memphis 901 FC and New Mexico United all set for their first appearance in the tournament. For more details on the 2019 Lamar Hunt U.S. Open Cup, visit USSoccer.com.